There are many children’s book titles that live on my list of all time favorite books. Surely the many memories of snuggling up with my children over the years contributes to my love of children’s literature, but there are other reasons as well! There is something wonderful about finding a gem of a story, or rich and cheery illustrations, and being able to put that book into the hands of a child. 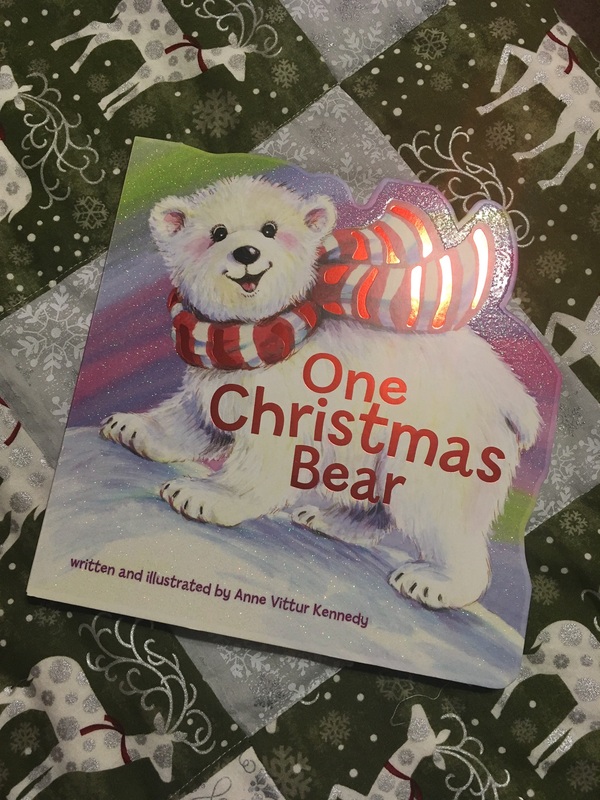 One Christmas Bear, written and illustrated by Anne Vittur Kennedy. This counting book is delightful and cheery. Arctic animals and pops of color on a cold snowy background make for charming, uncluttered illustrations. 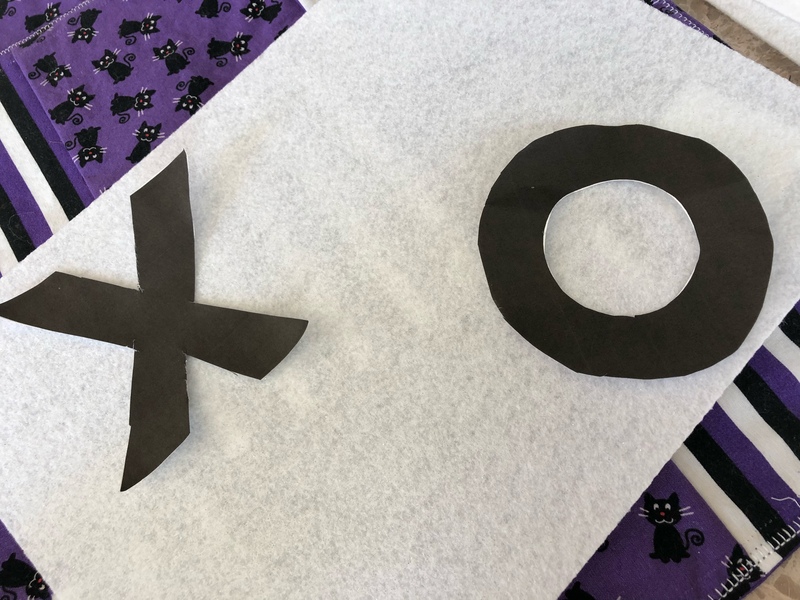 Rhyming text tells the number story from 1 to 10 in a simple yet fun style. Estes Park is one of the gateways into Rocky Mountain National Park, and is one of my favorite places in Colorado. 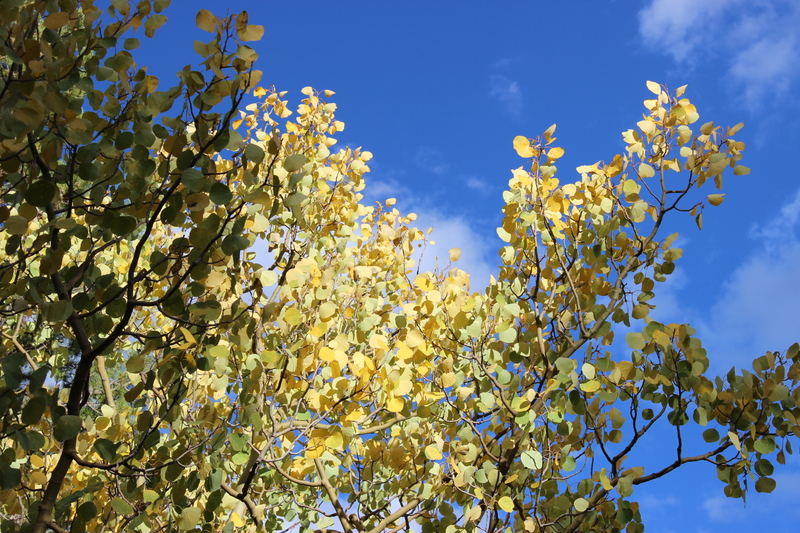 When our children were younger, my husband and I took them on yearly fall family retreats and Estes Park was one of our frequent destinations. Now that the kids are older, and no longer homeschooling, we don’t have the schedule flexibility to have the fall family retreats any more, but I have found spaces on our calendar to get back there at different times almost yearly, sometimes even more! Of the places where we’ve stayed I would recommend Murphy’s Resort by the lake. One January I got away on a mother daughter trip with one of the girls, and stayed at this resort. The room was clean and comfortable, with easy access to the trail around the lake. The resort had a painting event the weekend we were there and there appears to always be something fun going on! We have also stayed at the YMCA of the Rockies, in one of their cabins, and we have camped in Rocky Mountain National Park. It just depends on what we are wanting to do, there is something for everyone! In the downtown area of Estes Park one can find all kinds of interesting and also touristy shops. We love the Donut Haus (Beware, they run out of donuts, sometimes by noon!) and the MacDonald Bookshop. Mama Rose’s Italian Restaurant and Claire’s Restaurant are my two favorite places to eat in Estes Park. Such delicious food and wonderful, friendly service. But I can’t forget to tell you about Shakes Alive and A Sweet Slice of Life Pie Shop. 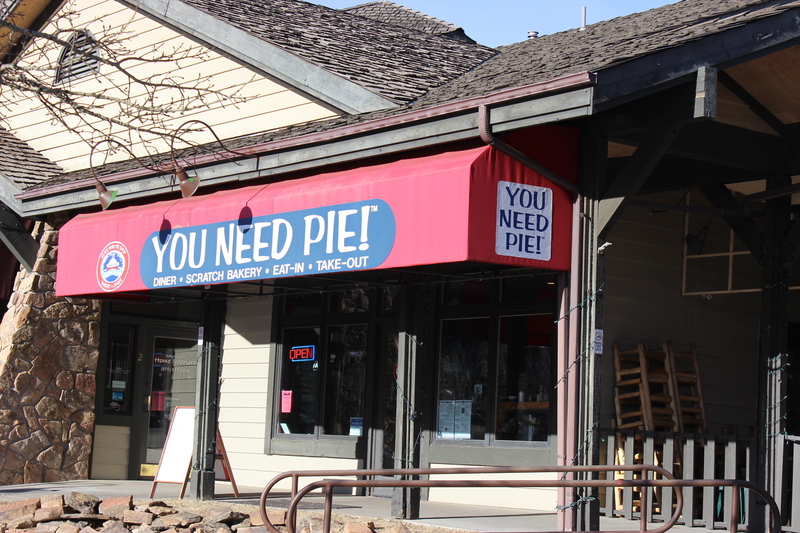 Go ahead and have a slice of pie with a shake, the are next door to each other! 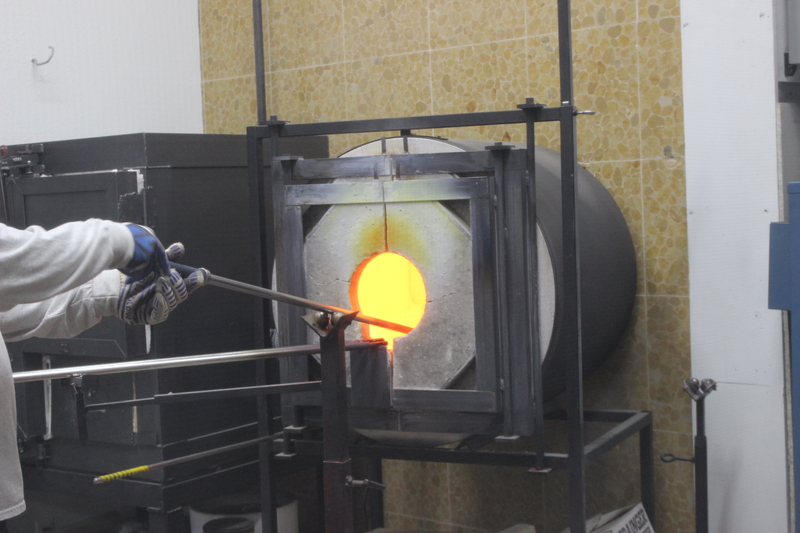 Other things to see in the downtown area of Estes Park include the Patterson Glassworks Studio and Gallery. 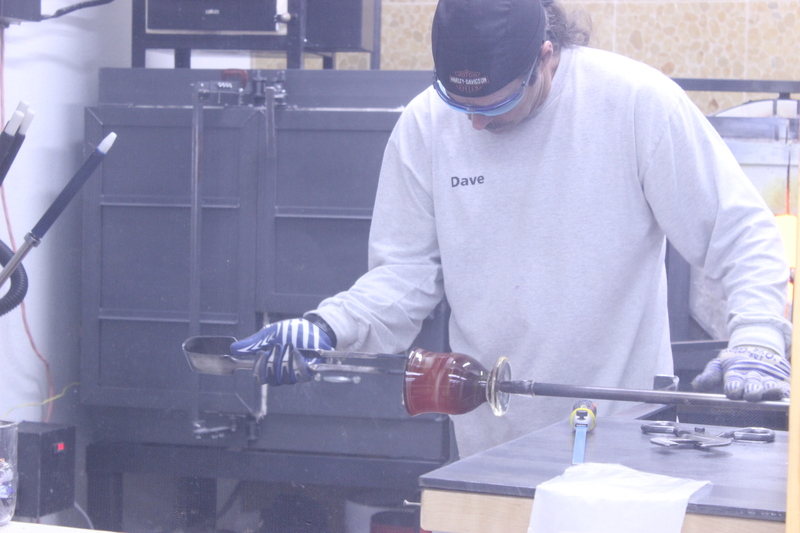 I was fascinated by the glass blowing demonstration. So much so that I tried to watch each time we are in Estes Park! 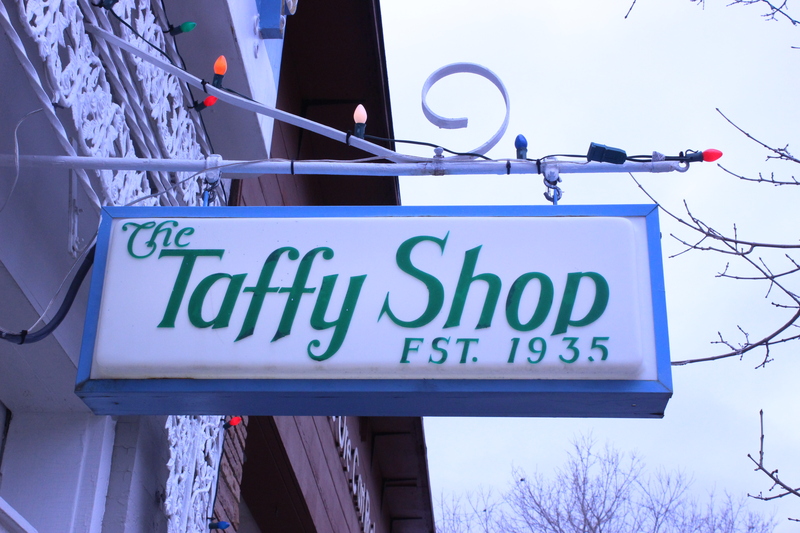 The Original Taffy Shop is another great spot. 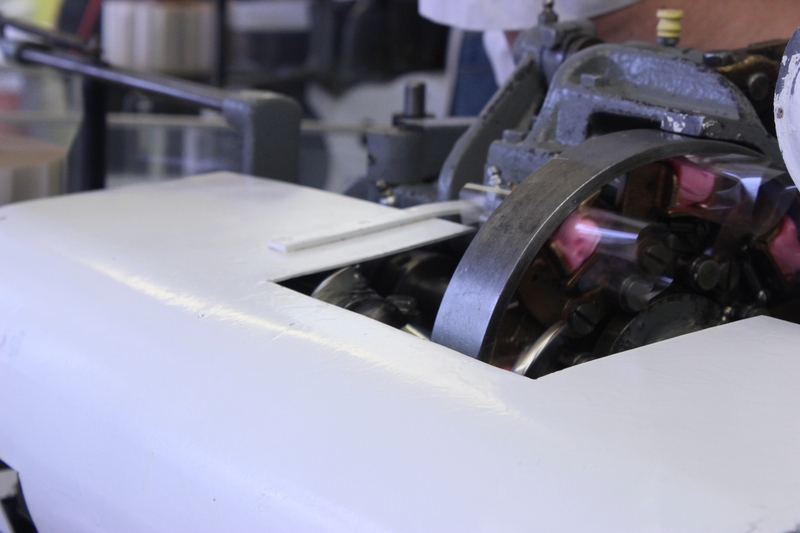 Here you can watch original machines stretch, cut and wrap the taffy. 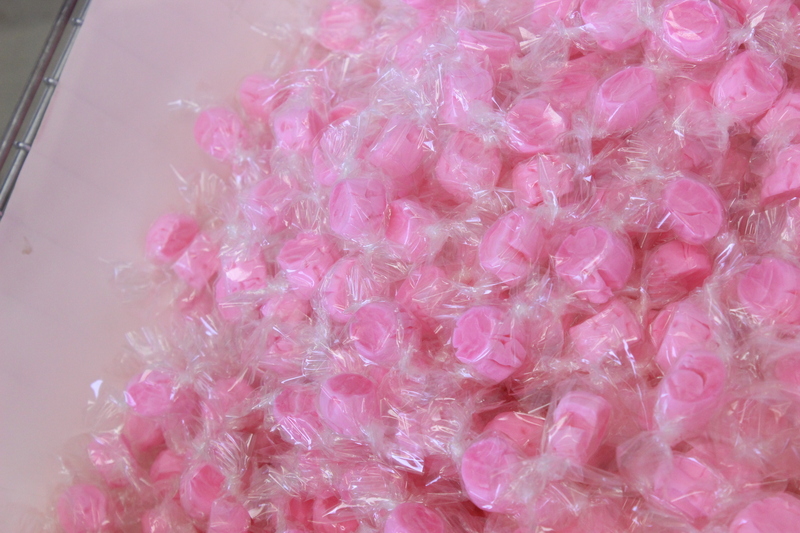 And of course, sample and buy some as well! 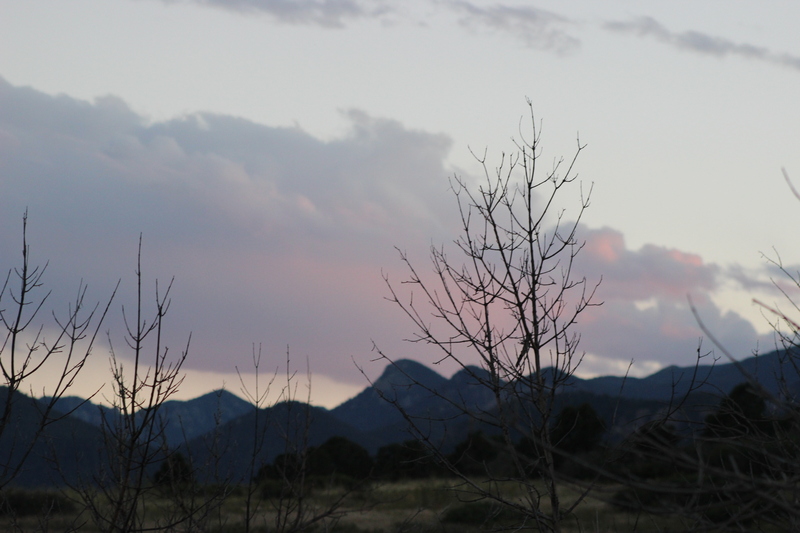 So as you are making your spring break or summer plans, think about Estes Park, Colorado! Pinterest became a most frequented place for me this fall. 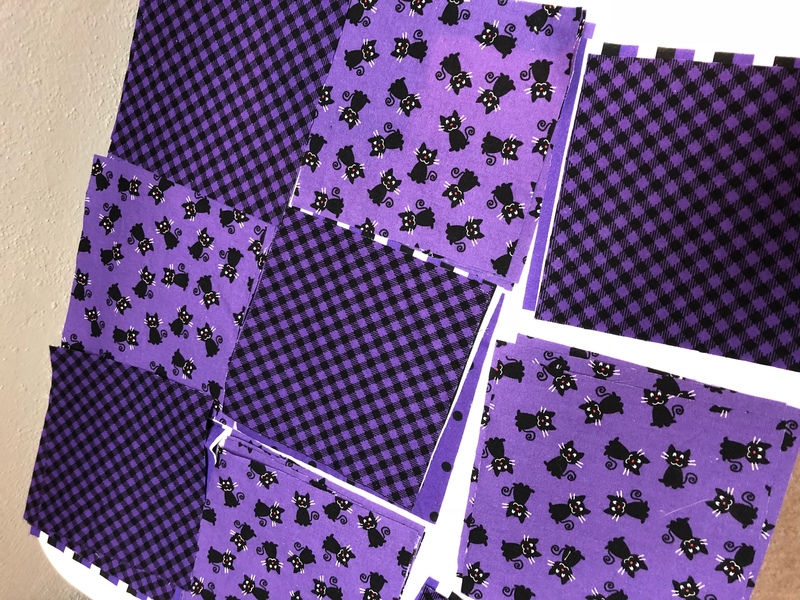 I got bit by the quilting bug and have been pulling out fabric and looking up ideas to make a few quilts for my daughters. 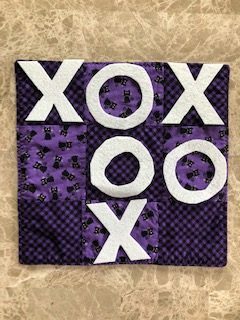 In 2007 or 2008 some women from our former congregation offered a quilting class, and I excitedly signed up! 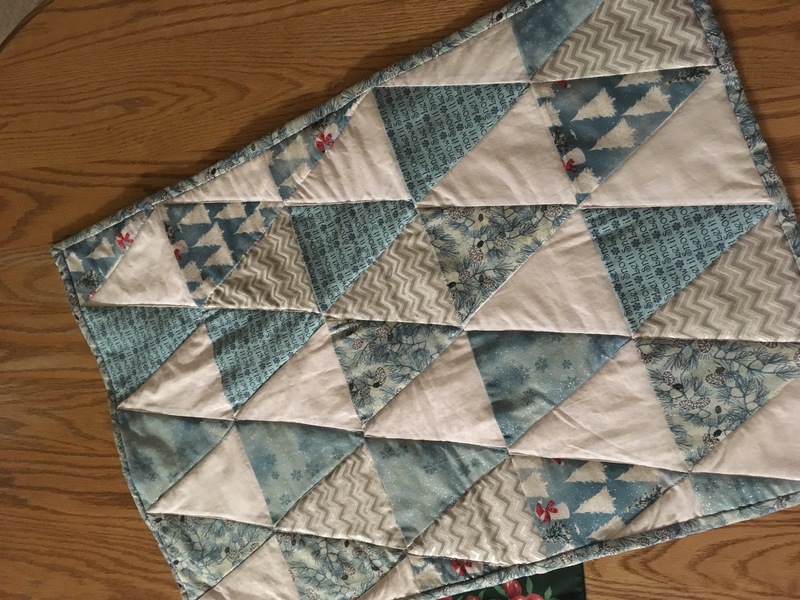 The small quilt I made in that class was a sampler with Christmas fabrics. It became part of our Christmas traditions, and was named the quilt of Christmas Dreams. 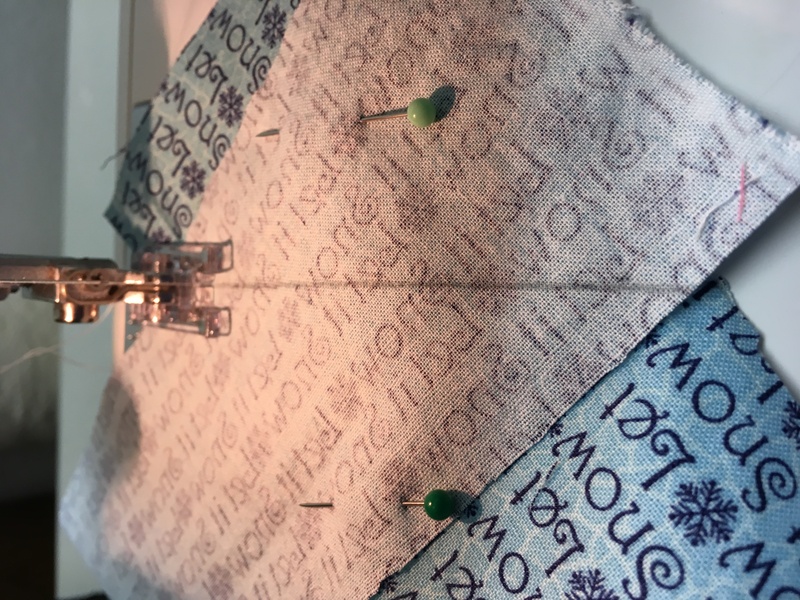 During Advent, the quilt of Christmas Dreams travels between the daughters who live at home, each getting to sleep under the quilt all cozy and warm. Last year my grand daughter got in on the fun, only she wasn’t pleased when her turn was over and the quilt moved on. 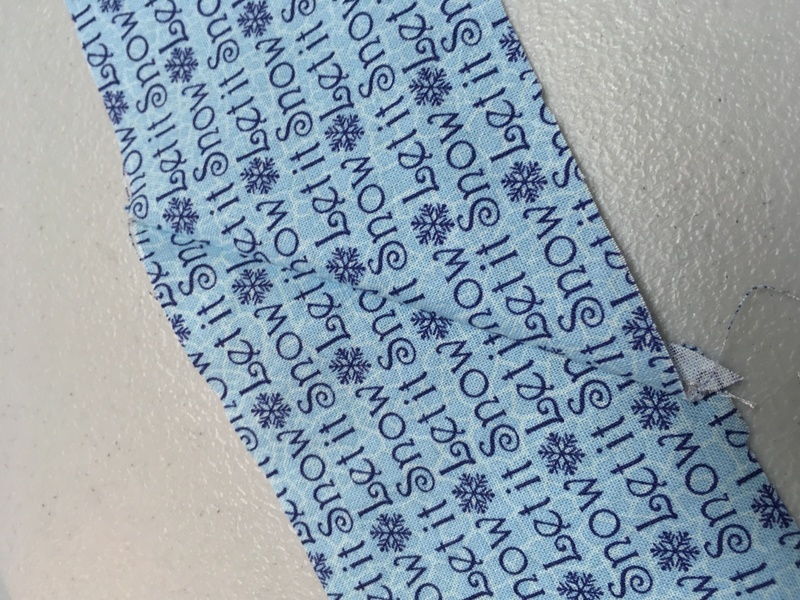 So,during a visit to JoAnns, I found some lovely winter and also Christmas fabric. During that visit, an idea grew, and grew. 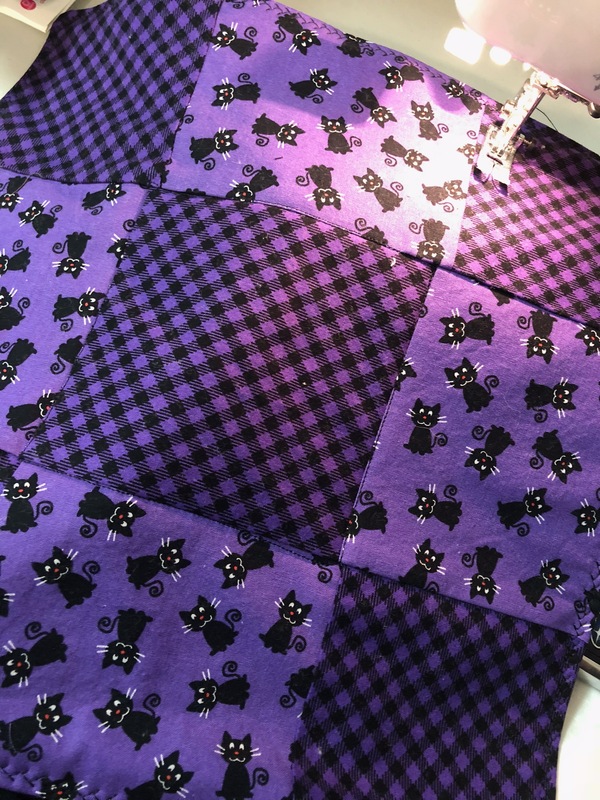 Two quilts have been finished, another quilt will have the final binding stitches completed this week. Two Winter Blues quilts are under the tree, in anticipation of a couple of new dolls for a certain Miss Joyness. A 9 patch stack is growing, and uncut fabric sits on the shelf above my sewing machine, calling to me. 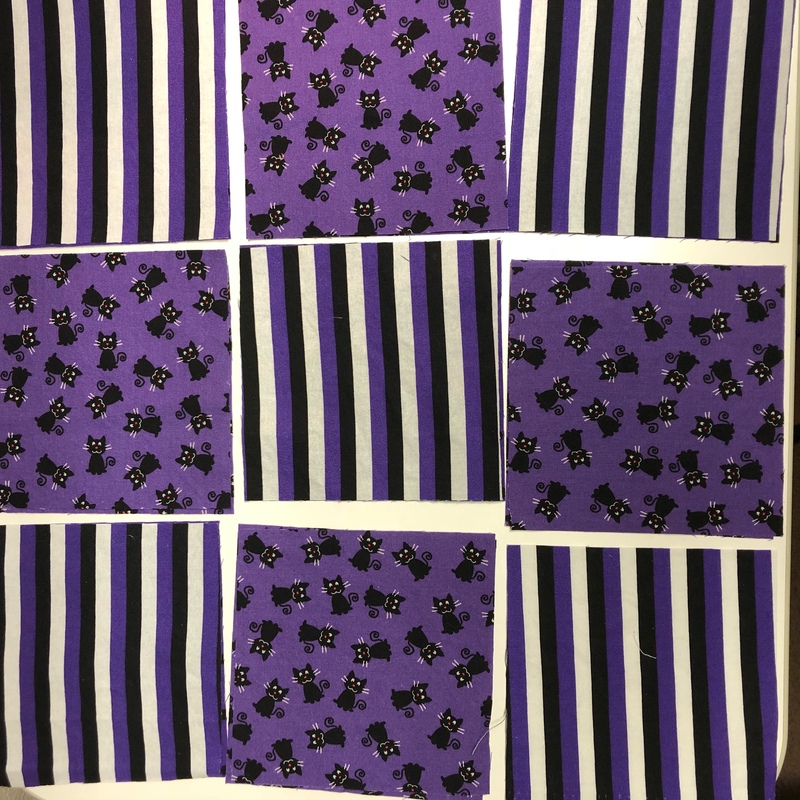 Yes, thanks to my need for some fringe hours creativity and pinterest, I have been bitten by the quilting bug! 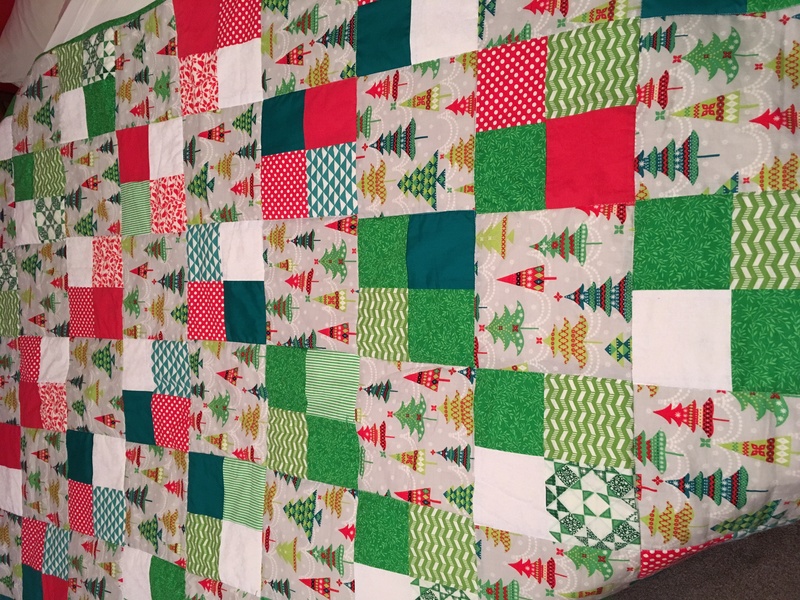 Way back when I made that first Quilt of Christmas Dreams, and a few Story Quilts I used prefolded binding from the fabric store. 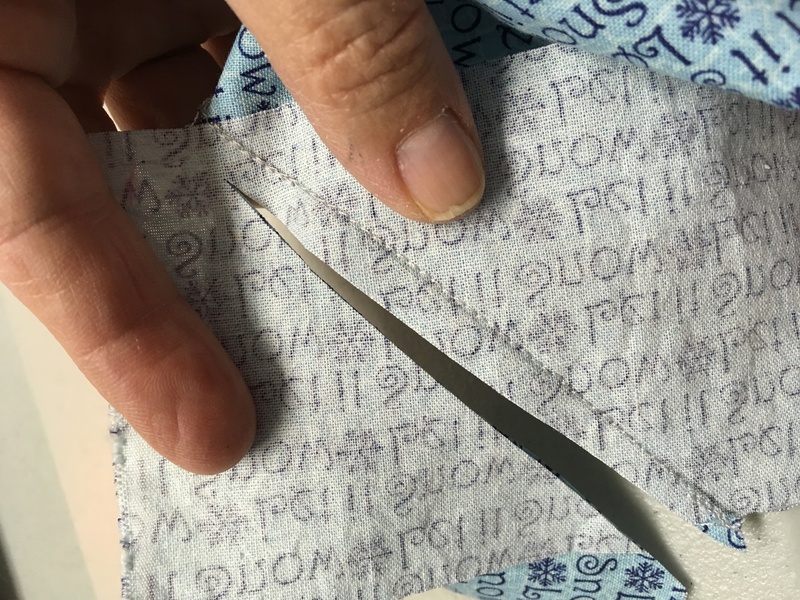 I knew that I didn’t want to do that this time, and while Pinterest has a lot of tutorials, I needed more help. 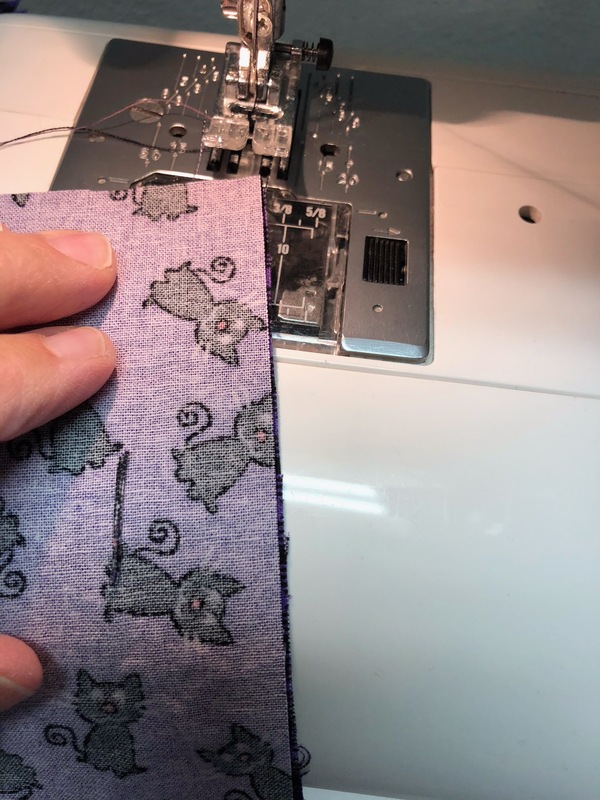 A sweet friend from our congregation had me over for a couple of hour and taught me how to make my own binding, how to attach it, and how to finish it. 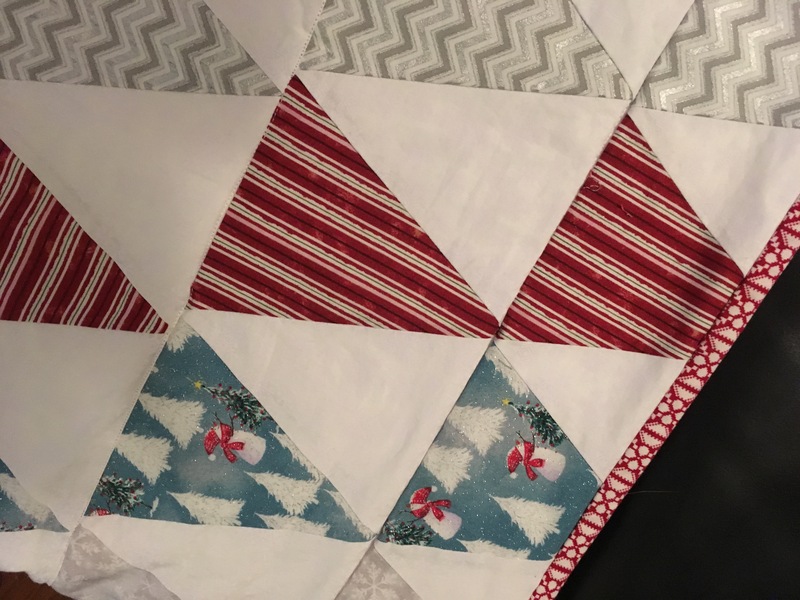 This idea grew a bit crazy when instead of a new Christmas quilt for just my youngest grand daughter, quilts for my daughters were started. However, I’ve found this creative expression extremely fulfilling and satisfying. 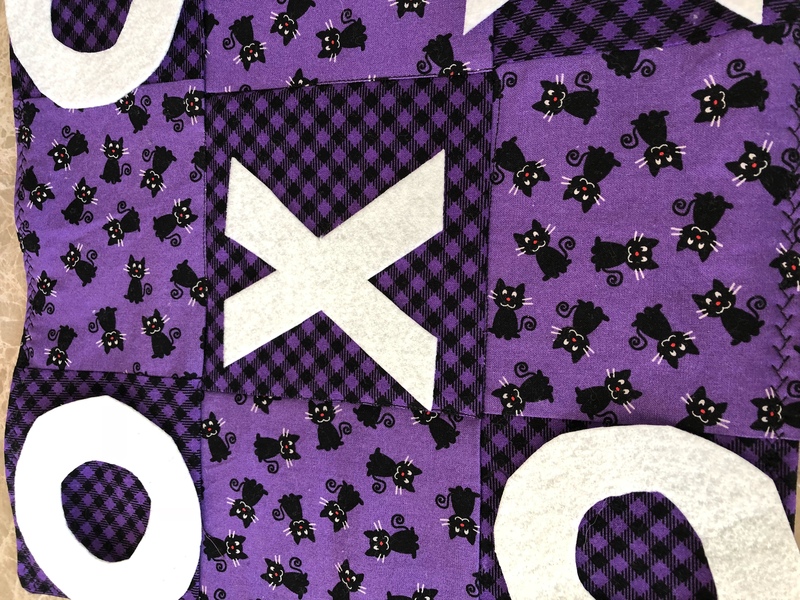 So quilt ideas are what I’m pinning these days, and actual quilts are keeping my hands busy and my creative side happy. What are you pinning and what is inspiring your creative side? Are there any Christmas crafts that might spill over to bring color and delight to the winter days ahead? The Advent season is a search for quiet in the midst of busy, a search for meaning in the midst of over abundance. My family has found just a few books we love, resources we use. And we enjoy the freedom to change as the years pass and the children grow older. For many years we read aloud through the books for families by Arnold Ytreeide: Jotham’s Journey, Batholomew’s Passage and Tabitha’s Travels. Now those books take a special place on the living room shelves each November, sitting in ready for afternoon reading by the tree. “Watch for the Light ~Readings for Advent and Christmas.” This book is published by Plough Publishing House and is exceedingly beautiful. With readings written by Aquinas, Bonhoeffer, Eliot, L’Engle, Lewis and many others the book is full of the richness and beauty of many voices, to go beyond the hustle and bustle of each day and to really look into the hard places of truth and sacrifice. The writings are not the easy, happy tidings one can easily find during the Christmas season. No, the writings contemplate the harder places, the battle within each of us to even want to be still and be quiet. Quiet enough to think about what this season really means. I have found the readings to be heavy, Heavy, but good, nourishing. It may take me a year or two to make it through. I’m like that, a slow walk through a deep book is best for me. One other resource that I am excited about using is Asheritah Ciuciu’s “unwrapping THE NAMES OF JESUS ebook. While many of the other resources I listed are good, and will be used in one way or another this season, “unwrapping THE NAMES OF JESUS“ has me very excited. 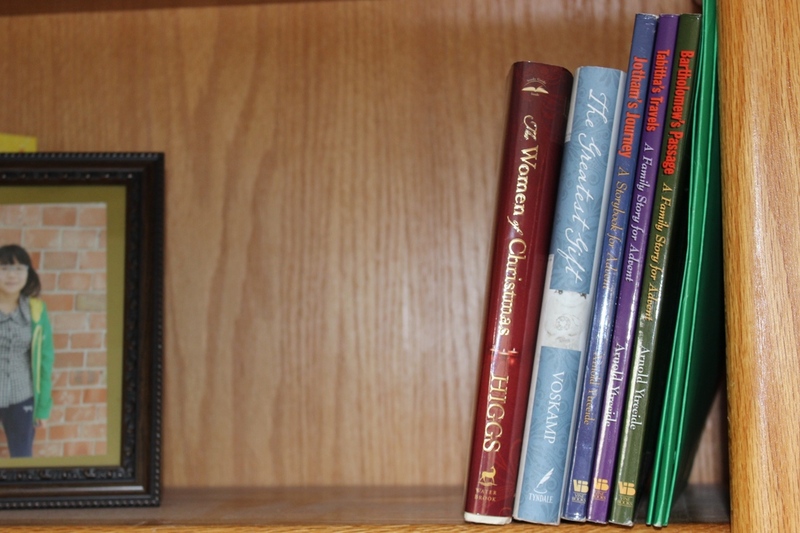 So these are a few of the Advent resources on our shelves and table for this Advent. What are you reading this season? 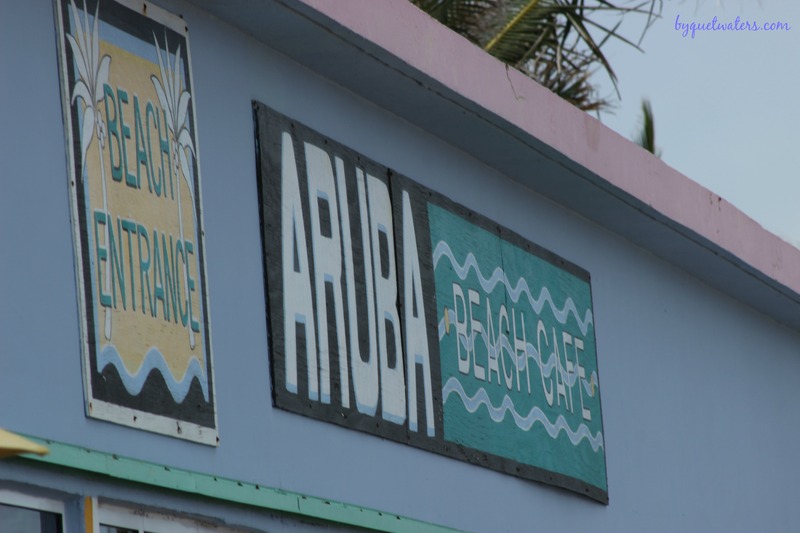 Where to Eat in the Florida Keys? During our Florida Keys Vacation we found a vacation house rental, and for the first time, eating on vacation was an absolute pleasure. No stress about hotel breakfasts or blowing the budget on eating out. Instead, we prepared most of our meals at the house. We had a good breakfast every morning, loaded a cooler for each day’s lunch and often ate dinner in. I LOVED being able to choose when to go out for a meal and enjoyed each of those meals so much more than if we were juggling food from hotel rooms. This is the house we rented. It was fantastic!